Welcome to Thorngreen B&B; a lovely Victorian house in the heart of Keswick offering a a warm welcome, three comfy bedrooms and new en-suite shower rooms. Situated in a quiet street close to the town centre, Thorngreen is perfectly located for the shops, pubs, restaurants and cafes that Keswick has to offer, as well as being a great base for exploring further afield. We will set you up for whatever adventure you have planned for the day with a traditional cooked breakfast (or something lighter if you prefer). If that adventure creates wet clothes and muddy boots, just hand them over to us at the end of the day and we will put them in the drying room. In our newly decorated rooms you can choose feather or non-feather pillows, try our home made biscuits and make full use of the smart TVs. In whatever way you decide to unwind and recharge those batteries we want Thorngreen to provide you with a real home from home. 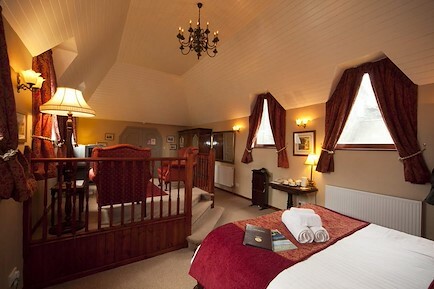 There are two double rooms and one twin room available, each with en-suite facilities. The twin room can also be set up as a double with a king size bed – just let us know when you book which option you prefer. On the buffet table you will find juice, cereal (including homemade bircher muesli), fruit salad and yoghurt. As much toast as you want, tea (including fruit and peppermint) and coffee will be brought to your table. If you have dietary requirements/food intolerance/allergies – just let us know in advance so we can plan for your visit! Your enquiry will be sent directly to Thorngreen. Please fill in as much detail as you can.